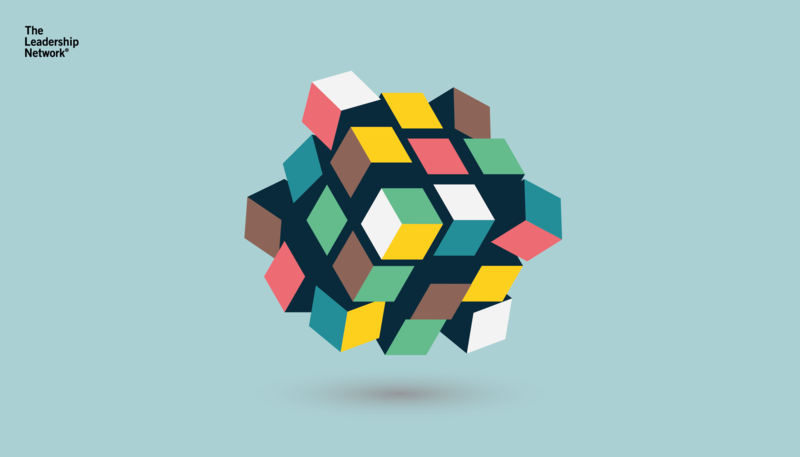 Is Innovation achieved through Kaizen? 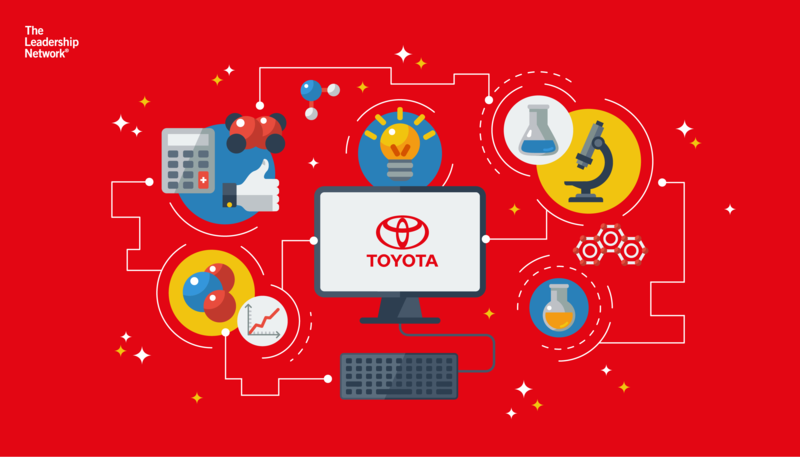 The Japanese term Kaizen made popular by Toyota is a philosophy that assumes every aspect of life can and deserves to be improved. The words Kai ‘Change’ and Zen ‘Good’ create Kaizen, which is the practice of making incremental improvements over time to achieve a significant overall improvement. 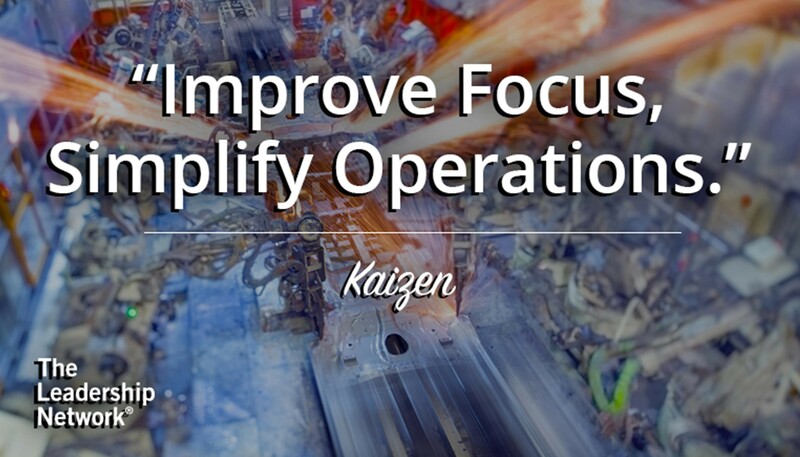 Kaizen is a central principle of Lean Manufacturing, which itself is a method of creating value by removing all types of waste from the manufacturing process. "Lean is achieved through Kaizen"
So, what is the relationship between Kaizen and Innovation? To start answering this question, let’s look at three examples of how KaizenLeadership has influenced innovation. When American icon and Lean devotee Alan Mulally became CEO of failing automotive giant Ford in 2006, he was willing to bet the US$25bn franchise that Kaizen was a better innovation strategy than taking financial assistance from the US government. Known for his admiration of Toyota, Mulally’s short-term plans were disappointing to many as instead of promising revolution, Mulally simply stated his strategy was to improve efficiency. This strategy was driven by new and improved products, which were not only built more efficiently, they were fuel-efficient too. Mulally took Ford from the brink of bankruptcy to the forefront of the US automotive innovation charge in one of the greatest corporate turnarounds in history. The Nike innovation manifesto states that 'Lean is the foundation of how we advance sustainable manufacturing.' It talks of how the continuous improvement culture seeks to engage the minds of those closest to the work to solve problems that prevent them from delivering quality product on time, every time. 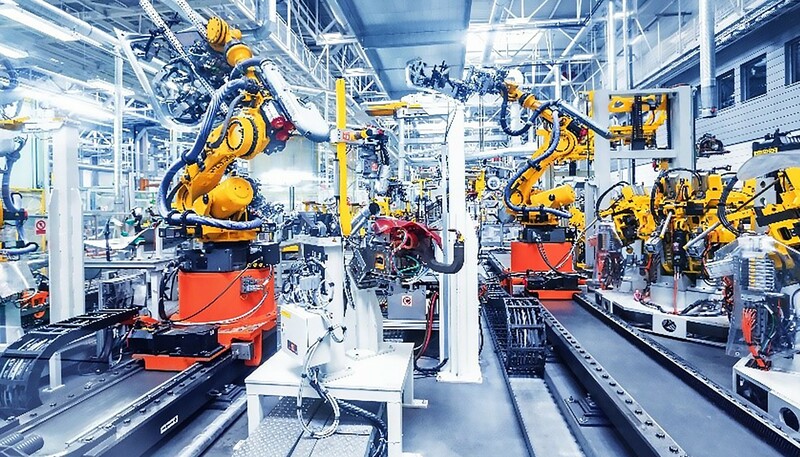 With a series of impressive statistics proving that all types of waste are being reduced across the supply chain through a 'commitment to Lean', Nike is a Kaizen culture in action. The HRM training curriculum in Nike is based on the culture empowerment model detailed by Leadership Expert Jeffrey Liker in his bestselling book 'Toyota Culture, the Heart and Soul of the Toyota Way'. The commitment to Innovation through Lean methods is forecast to double the size of Nike from "US$25bn to US$50bn by the year 2020." While Kaizen is a Japanese philosophy, many of the attitudes behind Kaizen in modern business originate with American management thinker W. Edwards Deming, during his work with leaders of industry in Japan after the Second World War. "when a few companies in Silicon Valley, such as Hewlett Packard and Apple, began to incorporate them." "I don’t think our success is largely luck. Rather, I believe our adherence to a set of principles and practices for managing creative talent and risk is responsible. Pixar is a community in the true sense of the word." If Kaizen is the practice of continuous improvement in business, then what is business innovation? Drawing from over 35 definitions available online, Innovation can best be described as something new or improved that creates value. Both Kaizen and Innovation depend on new ideas, iterative processes, problem-solving and stakeholders understanding that there is a better way to do things. If we accept this definition, the only difference between Innovation and Kaizen is the concept of something being ‘new’? ‘New’, radical and disruptive innovation is attractive, exciting and in today's networked economy promises growth on a scale never seen before. Perhaps, the paradox of Innovation is that new value cannot be created before improvements have been made first? If this is true, then attempting to innovate by creating ideas and building business models on ineffective processes will not result in innovation by any definition. If Ford prioritised hybrid product development as an Innovation strategy over improving efficiency, it is likely that Ford would have failed to achieve any of its goals, and it’s just as likely that the company would have been heavily hit during the 2008 US automotive crisis like many of its competitors. Instead, Alan Mulally understood which processes needed to be improved and which wasteful activities needed to be removed before Ford could achieve its Innovation goals. If Innovation is the result of creating new value, and Kaizen is the practice of improving processes to achieve Innovation - can we say that in Ford, Nike and Pixar, Innovation is achieved with Kaizen? As the CEO of a provider of Leadership and Management Training to Fortune Global 500 companies, I can say with good authority that there are many businesses looking for a proven route to Innovation that can be implemented simply and cost-effectively. Perhaps it’s time to take the lead from companies across the world that have embraced Lean methodology and look at how Kaizen can be used as a low-cost and low-risk system of continuous innovation.